Can we believe the accuracy of this logo? Though [West End] avenue is subsumed by Broadway near West 107th Street, the 1979 map incorrectly showed the two merging three blocks north, at the station entrance for the No. 1 train. On the current map, West End Avenue has inexplicably been extended to around West 116th Street, forging roughly nine blocks of phantom terrain. It’s surprising it’s taken this long for these mistakes to emerge, of course, but not as surprising as it is that there’s now a battle to take the blame. Michael Hertz, whose firm did the first round of design work on the 1979 version, says it was he, and not Tauranac, who messed up. And by “messed up,” he means designed the thing — there’s a long-simmering battle between the two over credit for the work, and apparently they’ll take the bad with the good. 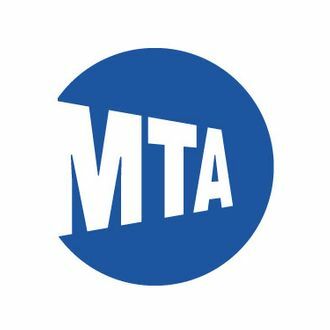 Though the designers seem sheepish about the mistakes, the MTA insists that they are not such a big deal and were part of purposeful “design decisions” that made the thing more readable. “This is not a street map,” a spokesman told the Times. “This is a subway map.” One that’s been lying to us all these years! And yet we can’t seem to get mad: This must be love. Mildy inaccurate or not, that thing’s awfully helpful.